Ekorian’s Mugie Camp shut down for the first ten days of October due to the arrival of Maia. This gave all the crew a nice break to get back home and put their feet up for ten days. On the 11th October we were happy to have Mark Ross back with us for his second trip this year. He is a great sport and organized the first group of guest to go on the horse riding transfer to OlMalo. He spent two days at Ekorian’s where we had a great time with a resident family and the grandparents from the US. The kids were of a great age and they enjoyed all the activities. They were totally exhausted by the time the sun had gone below the horizon. The first afternoon was spent with the lion cubs, which were on their best behavior; they love to come right up to the car and see whose new guests. We visited the bloodhounds, which fascinated, as well as entertained the whole family. We then moved onto the Mugie Schoolto be met by Bernard the headmaster and given a tour around the school facilities. On the morning of the 13th we waved good by to the riders as they climbed onto their horses and headed across Mugie and into thewideopenLaikipia plateau. The grandparents, being golf enthusiasts decided to play a round of golfon Mugie’s beautiful course before taking the vehicle across to OlMalo to join up with the rest of the family the next day. It has been a particularly windy month drying up the grass as well as a large amount of water in the general area. As it dries up we really start to see so much more plains game,which are attracted by the huge Mugie dam just above Ekorian’s camp. 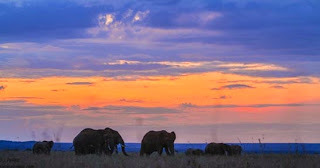 The wind is putting the elephants off spending time in their enormous swimming pool as the constant noise of lapping water disrupts their sense of hearing so they cant hear danger coming up behind them. The baby season is still on going, with tiny elephants-so well protected by their mothers we are excited to catch a glimpse. 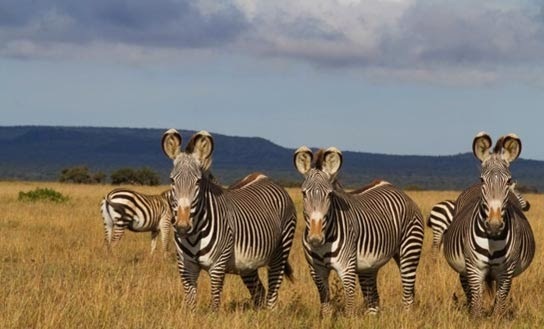 We are especially enjoying seeing a tiny Grevy Zebra on the Maasai plans. He has huge ears and long gangly legs, which he is finding particularly difficult to co ordinate. The lions on the other hand have been spending quite a lot of their time out side the property which always gets us nervous. 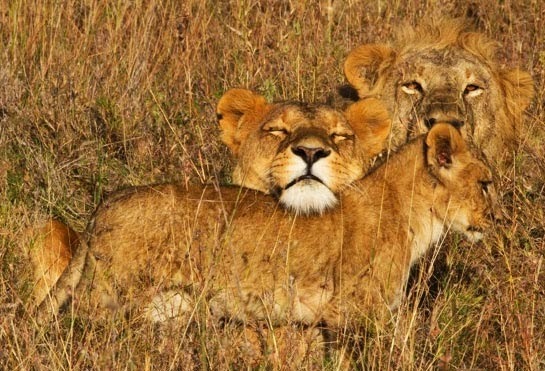 The general surrounding community sees the lions as threats to their livestock. This means they are not particularly safe and can come into harms way at any time. The times they have been back we have had good viewing of them and the cubs.The two males had bad limps so we are wondering it there is a new pride in area trying to take over. At the end of the month we had a busy few days with a large group from William Hill UK. William Hill has taken on a local school as a project and are helping develop the school, with new class rooms, Staff accommodation, clean water and much much more. 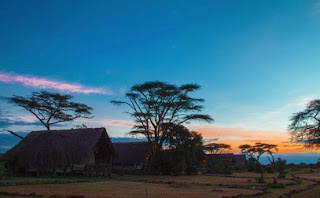 Their night at Ekorian was their final night of R&R in Kenya and they thoroughly enjoyed a few luxuries, like hot running water, which they hadn’t had for the 10 days before. We hope to see them again when they are next out in a few months time to do more work on the school.